This delightfully simple recipe will rock your world – if you are a banana lover like me! My kids frequently request this healthy dessert throughout the week. Bananas are a great source of potassium and nuts are loaded with essential vitamins, minerals and fiber. You’re doing your body good with this treat! 1. Move oven rack up to top slot and set oven to broil. 2. 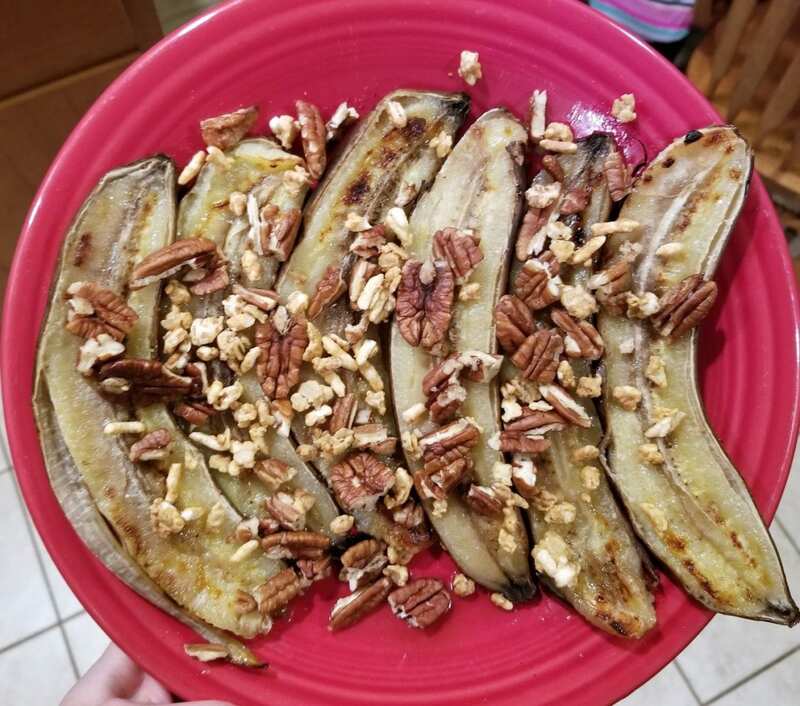 Cut dried necks off bananas. Slice bananas down the center in moon shape. 3. Leaving peel on, lay bananas flesh up on broiler safe pan or on a sheet of aluminum foil placed directly on top oven rack. 4. Broil for 6-8 minutes until the flesh starts to bubble and caramelize. Remove from oven and sprinkle with nuts and granola as desired. Serve right out of peel and enjoy!